A lot of fuss has been made recently about the possible legalization of casinos in Japan. The country resisted for a long time to pass one such bill and there is still a strong opposition that speaks loudly against such actions. Japan represents a huge market which is definitely going to become the third or maybe even the second biggest casino market in the world. The proposition was in a stall for a long time and is finally making a step forward. The progress happened on June 15, Friday, when the Diet’s committee finally approved the bill that is named the Integrated Resort (IR) Implementation Bill. The goal of this bill is to definitely set the rules under which the casinos will operate and that must be respected by everyone should casinos become available in Japan. In fact, the constitution of Japan’s Legislation on Casinos Finally Makes Progress was changed two years ago when the casinos were officially allowed, it was just the details about the casino regulations that were holding the whole process back for a long time. There are interesting demonstrations of disapproval in Japan, and one of them was executed by the leaders of the opposition. According to The Japan Times, the opposition all stood around the chair of one of the chairmen, Daishrio Yamagiwa, who was supposed to vote Yes on the whole thing. It is not the first time that the opposition stood up. In fact, just a few days before, they held a press conference where they claimed that the majority of the population is opposing the casino bill. The natural path of the bill now includes the Diet’s Lower House votes which are expected anytime soon. It is highly believed that the Lower House will unanimously vote Yes on the bill which will then be passed into the Diet’s Upper house for voting. Although the first gathering of the Upper House is scheduled for Wednesday, June 20, it is unlikely that they will pass the bill that quickly. 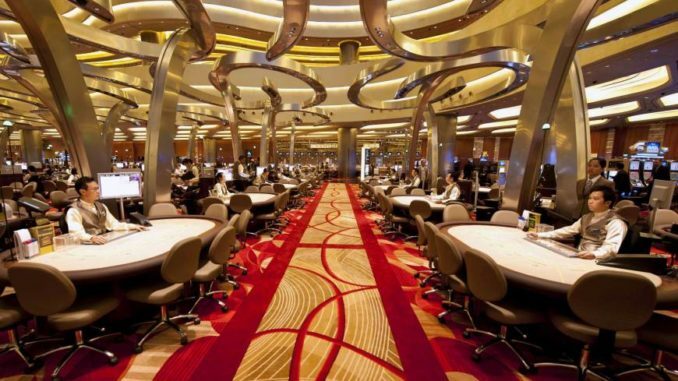 The whole prolongation issue has become a #1 problem for the international casino holders and officials who already started making huge deals and planning huge investments in Japan’s possible Integrated Resorts. They have grown quite impatient, but follow closely what’s happening inside the Diet and among the lawmakers in Japan. On the other hand, the restrictions proposed by the bill are not seen before as the Japanese players who visit casinos will be strictly controlled and the majority of the customers in the casinos are planned to be the tourists. Furthermore, the tax that the casino owners will have to pay to the country will be as high as 30% of their revenue. The whole market in Japan is estimated to bring approximately $6 billion in revenue. Despite the fact that the opposing lawmakers are loud, it is highly likely that the casino bill will be completely approved by both houses and that it will open a huge market opportunity for both the casino owners and Japan.